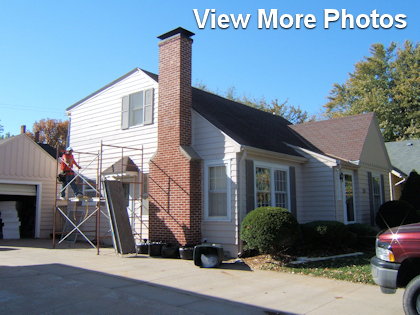 We offer a large variety of siding options. Below is some information on our most popular. Please call us with any questions. 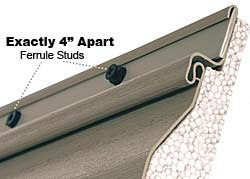 The new and patented attachment system is designed to stop the expansion and contraction problems when vinyl siding is nailed or attached incorrectly. The ferrule studs are evenly placed in 4" increments. You no longer have to worry that the nail was placed too far to one side of the nailing slot, or angled too high or too low. By fastening the siding through the ferrule studs, each fastener is now in the correct position. The ferrule studs also prevent the nail from being installed upward or downward. Now the attachment strip is fastened to the wall and allows the siding to expand and contract freely. Eliminator XL 29 is attached with exterior screws for piece of mind installation. Double 6' & 3" over 3"